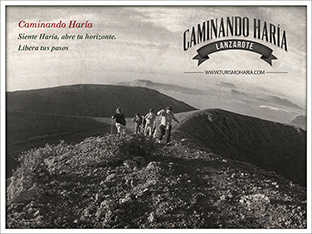 Hike number 3 – Stroll in Haría. 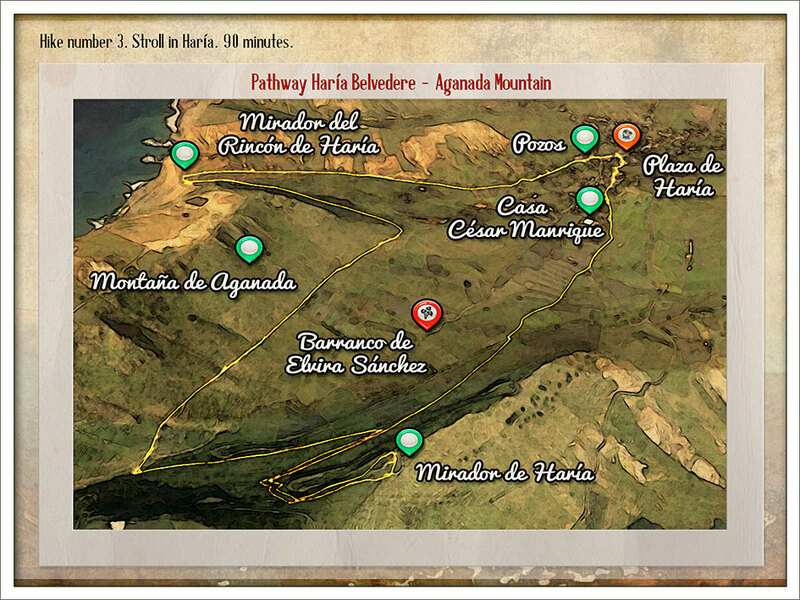 The itinerary allows us to contemplate the Haría valley from every angle. The first section gives the opportunity to enjoy the beauty, singularity and idiosyncrasies of this village which still preserves traditional crafts such as basketry, which we can find in our path. A few meters further up is the House-Museum of the artist César Manrique. We’ll head towards Haría’s old viewpoint through the historical-traditional road to Las Nieves. 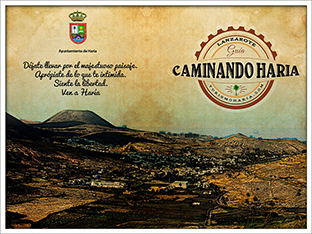 This road was an important communication route between Haría and the rest of the island for centuries. It was also a pilgrimage route towards the sanctuary of the Lady of the Snows, still celebrated nowadays, every year on August 5th. However, this path is diverted towards the belvedere, forsaking midway the traditional route heading to las Nieves’ Hermitage, an alternative to be considered for a later excursion. Then we’ll go along the Aganada Mountain and reach the Rincón Belvedere, from which we can see the west side of the Island, as well as the easily recognizable Famara beach 400 meters below where we stand. This place belongs to the Natural Park of the Archipelago Chinijo, in the Macizo Famara. Moreover, it is classified Special Area of Conservation (SAC in English, ZEC in Spanish) of the Natura 2000 Network, and Important Bird and Biodiversity Area (IBA in English, ZEPA in Spanish). Click the right button of your mouse on the track to see the elevation profile. Then click on “show elevation profile”.